Alipore (Pron:??:l? ?po:) is the headquarters of South 24 Parganas district and a neighbourhood in South Kolkata in the Indian state of West Bengal. The area is one of the most up-market and costliest localities in Kolkata, along with the Ballygunge. It is flanked by the Tolly Nullah to the north, Bhowanipore to the east, the Diamond Harbour Road to the west and New Alipore to the south, bordered by the Budge Budge section of the Sealdah South section railway line. The postal code of Alipore is Kolkata 700027. One of the most historical, eventful and elite localities of the city of Kolkata, Alipore is nearly as old as the city itself. It was in the middle parts of the 18th century that the British began exploring the areas outside their settlements of Fort William and the Dalhousie Square area beyond the Race Course. 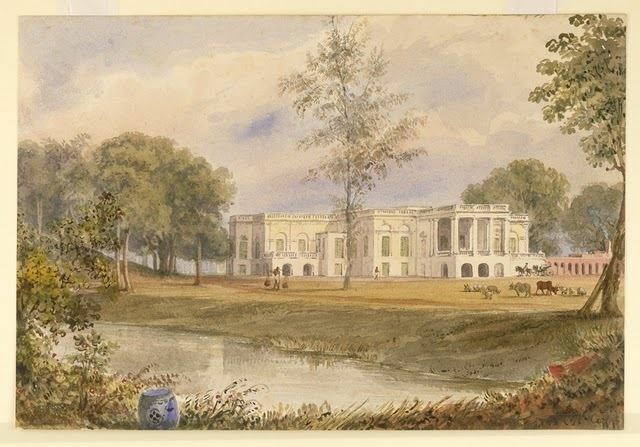 The Belvedere Estate was one of the oldest establishments in Alipore. The then Governor General Warren Hastings built it for himself and it became the Governors residence until the Government House came up later. It was about this period of time that Alipore started attracting more and more British settlers who built their huge mansions and bungalows with gardens and Alipore came to be more popular. In 1820, William Carey built the Agri Horticultural Gardens behind the Belvedere Estate and added to the charm of the locality. Also, the Alipore Zoological Gardens was thrown open to the public in 1875. The locality was also witness to the Alipore bomb case and a spectator to the freedom struggle of the Indian revolutionaries, like Aurobindo Ghosh who were imprisoned at Alipore Jail. Post independence of India, Alipore became popular among the business elite of the city and a large number of them set up home. The Pauls, the Birlas, the Goenkas, the Dalmiyas, the Jalans, the Kotharis - all added weight to the place. In 1952, the Imperial Library (now renamed the National Library) shifted to its present premises on Belvedere Estate. The Alipore Mint was also inaugurated the same year. The locality of Alipore is a pristine mix of stately bungalows and villas with sprawling lawns and gardens, mostly belonging to the industrialists and business elites of the city, together with swank apartments and high rise condominiums, aptly complimented with clean tree lined avenues and roads, lush greenery and low pollution count. Several consulates like those of Russia, Germany, France, Italy and residences of Hon. Consul General of Canada, Denmark, Greece, Peru, etc. are located in Alipore. By the late eighties and nineties other places like New Alipore and Ballygunge competed with Alipore as the most elite areas of Kolkata. Alipore is located at 22.53°N 88.33°E? / 22.53; 88.33. It has an average elevation of 14 metres (46 feet). Alipore area is bordered by the following roads - AJC Bose Road to the north, D L Khan Road to the East, Diamond Harbour Road to the West and Alipore Avenue to the South. Alipore area comprises the following roads & sub localities - Alipore Road, Belvedere Road, Baker Road, Judges Court Road, Burdwan Road, New Road, National Library Avenue, Penn Road, Alipore Park Road, Ashoka Road, Raja Santosh Road and Ronaldshay Road.